Title [Classroom full of girls knitting at Lake View High School, located at 4015 North Ashland Avenue in the Lakeview community area] [graphic]. 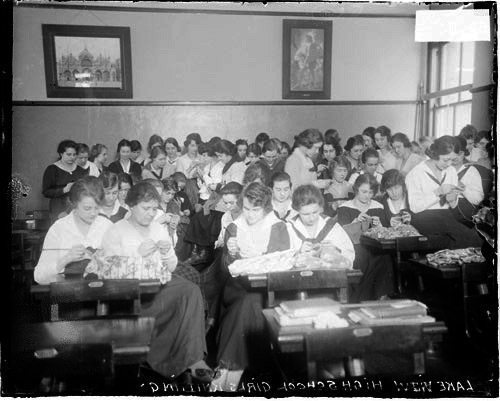 Collection summary Image of a classroom full of girls knitting at Lake View High School, located at 4015 North Ashland Avenue in the Lakeview community area of Chicago, Illinois. Lake View High School (Chicago, Ill.) Students.